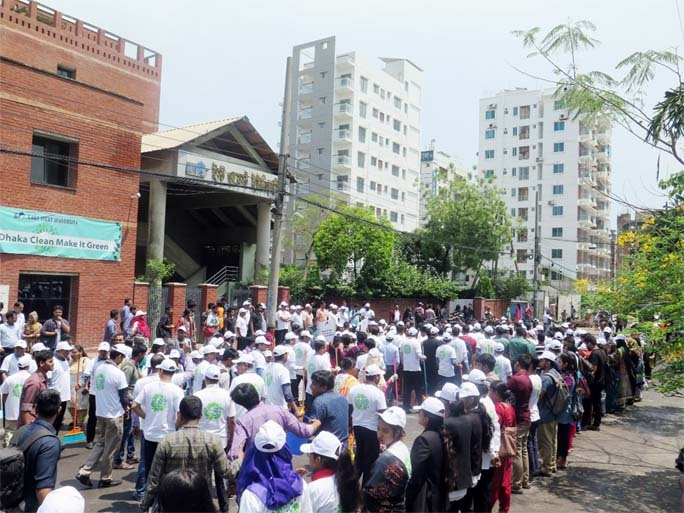 A rally marking the 99th birth anniversary of Bangabandhu Sheikh Mujibur Rahman led by Vice-Chancellor Prof Dr M Harun-Ur-Rashid Askari of Islamic University, Kustia on Sunday. 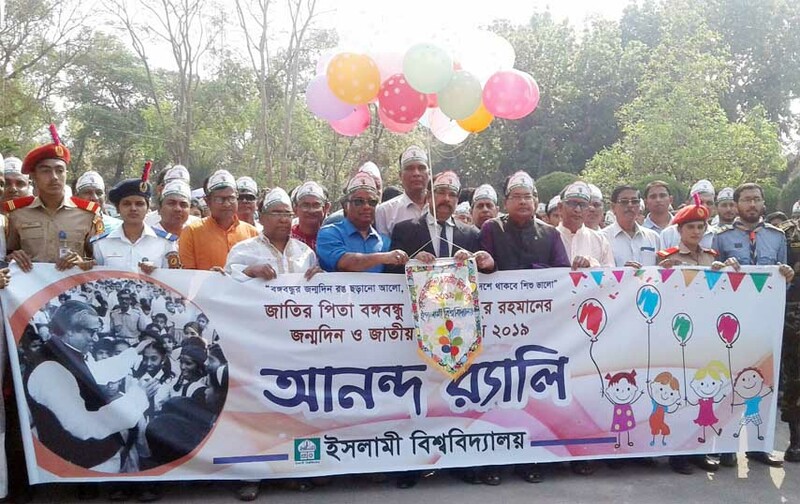 The authorities of Islamic University (IU), Kushtia celebrated the birthday of father of nation Bangabandhu Sheikh Mujibur Rahman and the National Children Day on Sunday amid festivity. To mark the day, IU authorities brought out a colourful procession from in front of the administrative building of the university led by Vice-Chancellor Prof Dr M Harun-Ur-Rashid Askari. 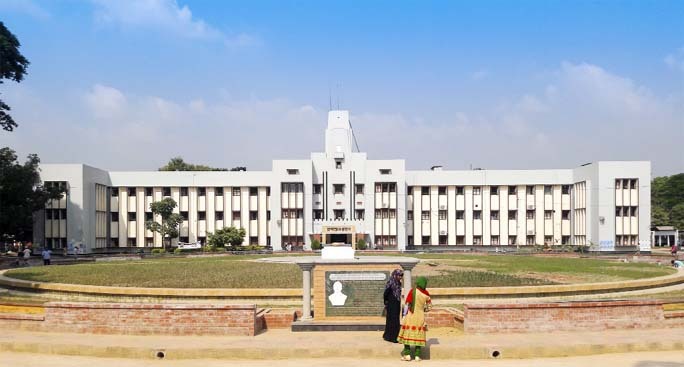 After parading the main roads of the university the administrative placed the flowers wreath in honour of the father of nation at feet of 'Mrittunjoyee Mujib'. 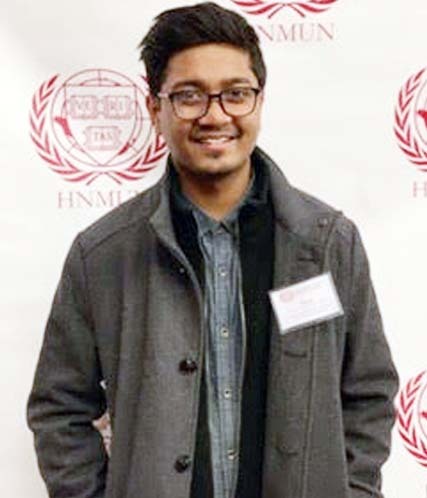 Later, a discussion programme was held at central auditorium of the university presided by proctor in-charge Anisur Rahman. Vice chancellor Prof Dr M Harun-Ur-Rashid Askari addressed the programme as chief guest while pro vice-chancellor Prof Dr M Shahinoor Rahman, treasurer Prof Dr M Selim Toha were present as special guests with registrar in-charge S M Abdul Latif as guest of honour. Among others, students advisor Prof Dr Paresh Chandra Barman, Transport administrator Prof Dr Rezwanul Islam, IU BCL unit secretary Juwel Rana Halim and around four hundred BCL activists were present here on the programme while prizes distributed among the winner who took part on drawing competition. 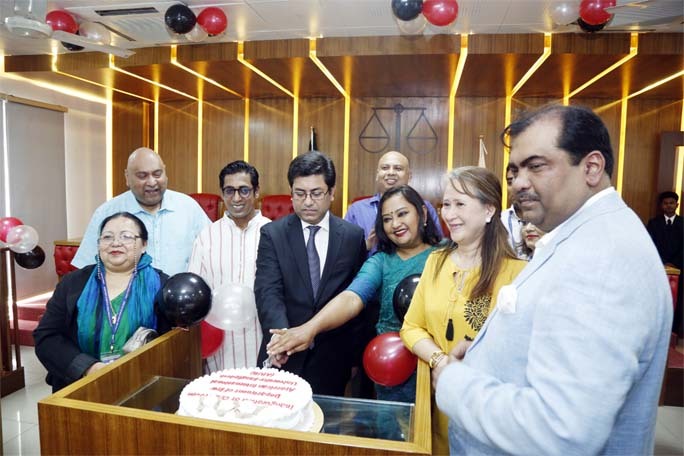 Besides, IU BCL unit cut the cake at Jatir Pita Bangabandhu Sheikh Mujibur Rahman Hall on the occasion of Bangabandhu's birthday.